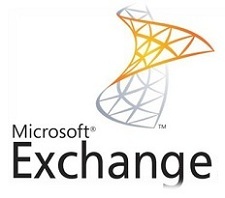 We are located in the triangle (near Raleigh, NC) and offer the latest version of hosted Exchange – Exchange 2013. Users of older versions of Exchange as well as POP email users will benefit from the enhanced features of Exchange. Our hosting is provided by a multi-million dollar infrastructure that includes datacenters featuring Dell, EMC and Cisco hardware and multiple connections to Tier-1 Internet providers. This Fortune 50 infrastructure is now available to small and medium-sized businesses. We offer hosted BlackBerry® services and ActiveSync. Rather than spending time and money managing a server, use this managed server alternative. SAS 70 Type II audited location and PCI Compliant. We offer both Outlook and Entourage support.